Ready to spice up your next Youngsville event? Bounce E Bounce has the largest selection of Youngsville Fun Jumps anyone has ever seen! We have some of the most epic themes and designs that will bring your party to a whole other level of FUN. Over inventory is growing so rapidly, we are always adding new jumps for our customers. No party is complete without a high-quality fun jump for your guest's entertainment. If children will be in attendance at your next event, a fun jump is a most definitely a must. Youngsville Fun Jumps provide hours of safe fun and entertainment for kids of all ages, recommended for ages 3 and up. And with the largest selection in Youngsville, Louisiana in Acadiana, you are sure to find a fun jump that fits your party perfectly. 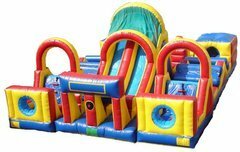 From some cool looking castles in crazy colors to skid steers, we have some jumping fun that is sure to please everyone. 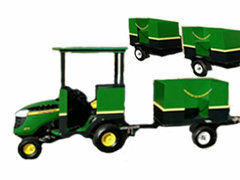 Look at our modular line for just about any theme you can think of, Modular Themed Fun Jumps! Whether you are hosting a backyard birthday party, corporate event, school function, or any other type of event that you can think of-Bounce E Bounce has got you covered! If you are looking for professional grade fun jumps in Youngsville, LA than go right ahead and trust the premier party rental company, Bounce E Bounce. Give us a call, send us an email or start an online chat on our website today. We can't wait to help bring the FUN to your next event. Are you organizing a party or event in Youngsville and don't know where to start? We have you covered with some of the best fun jumps Youngsville LA has to offer! 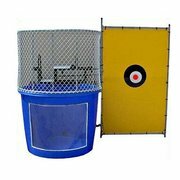 At Bounce E Bounce, we have just about anything and everything fun jump related. 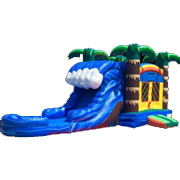 Everything from basic fun jumps, fun jump water slides, fun jump combos, obstacle courses, interactive games and much more. Here we have some of the most unique fun jumps anyone has ever seen in all of Youngsville, Louisiana. Sometimes our customers even call them a bunch of different names and things quickly get confusing but all in all they are the same. We've heard them called names such as bounce houses, bouncy houses, jumpy jumps, fun jumpers, jumpers, moonwalks, moon bounces, bouncers, inflatable castles, bouncy castles, jumping balloons and other crazy names. However, here in Acadiana we call them fun jumps Youngsville LA! Looking for something with just a little more than jumping for the kids, take a look at our combo section with their jaw-dropping designs. 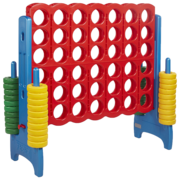 These are crazy fun because they provide adding features like basketball goals, obstacle pop-ups, climb and slide features. The Topical Wave is the new craze! Best of all, they can be used wet as fun jump water slides! I mean really, who knew they came in this many different options. 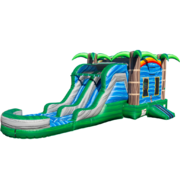 The fun doesn't stop there, we have a massive selection of giant water slide rentals Youngsville LA most likely has ever seen available from an inflatable rental company. Don't forget about our awesome looking obstacle courses and interactive games to add to your fun jump rental. 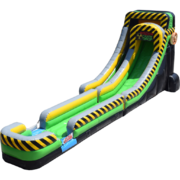 Why Rent a Fun Jumps in Youngsville, LA for Your Next Event? Why should you rent one of our Fun Jumps in Youngsville, LA for your next event? Because, fun jumps near me in the Youngsville area are one of the best ways to provide party entertainment at an affordable cost and with low maintenance! We understand that event planning is a big undertaking whether you are planning a toddler's birthday party or a mega corporate event. Renting a fun jump from Bounce E Bounce takes the stress of party entertainment off of your plate. No kid can resist the jumping and bouncing fun of a fun jump. The kids will be entertained throughout the entire event and parents will be thanking you for entertaining their children and tiring them out! Fun jumps in Youngsville, LA provide safe and fun entertainment for guests of all ages and stages. Don't waste your time and money with other forms of party entertainment, try a fun jump at your next event for a guaranteed hit! Why Choose Bounce E Bounce for Fun Jumps Youngsville LA? All of the fun jumps from Bounce E Bounce are thoroughly cleaned and sanitized between each use. No need to worry about a dirty or dingy rental showing up to your venue on the day of your event when you trust Bounce E Bounce, LLC. Your safety and the safety of your guests is our main priority. We strive to make sure that every fun jump comes to you in pristine condition, meaning it is clean and free of any dangerous rips, tears or sharp edges. Bounce E Bounce has the largest selection of fun jump themes and sizes in Youngsville. No matter what type of event or theme, you are sure to find a fun jump that compliments it perfectly. Hosting a princess themed birthday party? 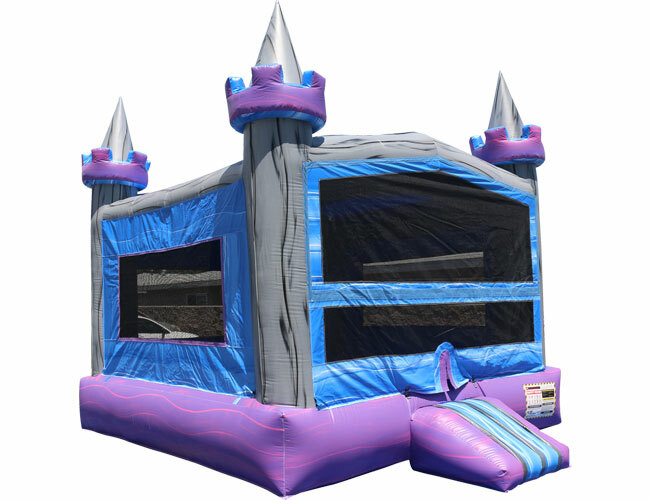 Check out our Crystal Castle Bounce House. 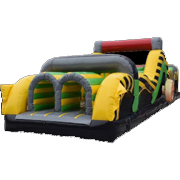 This fun jump is perfect for ages 3 and up and can accommodate 8-10 jumpers at once, making this the perfect birthday party entertainment. For larger parties, the Maui Combo is the perfect compliment. 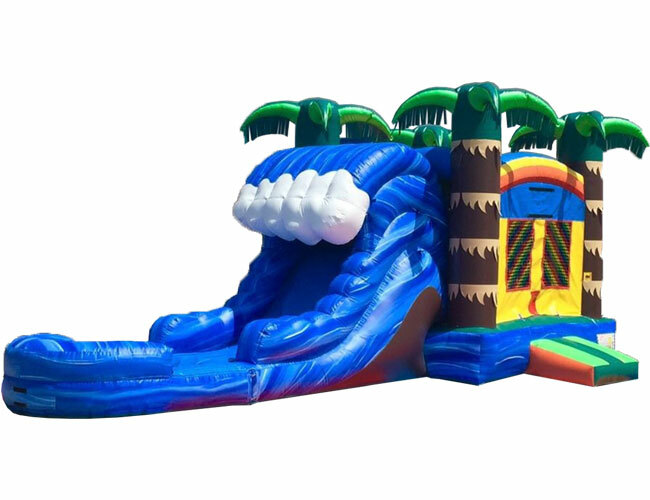 The Maui Combo is a Hawaii themed combo that combines a fun jump fun with a giant slide that can be used wet or dry! There is no better way to keep your guests cool and entertained in the summertime than with adding water to your inflatable fun. Cold weather event? No problem! Use the slide dry. We also have some of the coolest themed dry slides. Check out our easy to use website to see our large selection of fun jumps Youngsville. Our website provides real time availability on all of our rentals. Simply pick your event date and see what is available for that date. The further in advance you book, the better! Don't miss out on your preferred fun jump. Our website also features an online chat option that allows you to connect instantly with one of our local agents who can answer any questions you may have. We make booking your party entertainment easy! When you get Youngsville fun jumps from Bounce E Bounce you are also getting professional delivery and set up included and on time delivery is guaranteed! We aim to get to your event anywhere from one to three hours in advance of the start time to ensure that we have the time to completely set up your fun jump and ensure proper functioning well before your guests arrive. At times, they are delivered the evening before! You get the full eight hours of jumping fun time with your rental, this does not include the set up and take down time. You have enough to worry about on the day of your event, let us take the stress of party entertainment off of your plate! We guarantee a hassle-free experience so you can take a breather and let us handle the heavy lifting on your behalf! 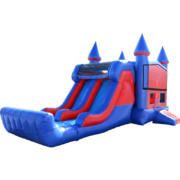 Bounce E Bounce believes that everyone should have access to quality Youngsville Fun Jumps, so we price our party rentals very competitively. 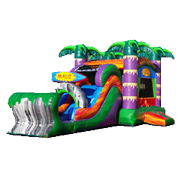 We understand that the cost of planning and executing a party or event can add up quick, so we make sure that all our inflatable rentals are priced to fit within any budget. We strive to achieve 100% customer satisfaction which means that we go above and beyond for all of our customers to make sure that they are completely satisfied with our services. 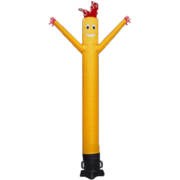 We take pride in offering our customers affordable inflatables but take NO short cuts when it comes to quality! Bounce E Bounce is a locally owned and operated inflatable rental company offering some of the best Fun Jumps Youngsville, LA. We have been serving Youngsville and the surrounding areas since 2015 and we take pride in being your hometown event rental company. We always guarantee on-time delivery all across Lafayette and Acadia Parish, Louisiana! Count on us for all your fun jumps in the following areas: Lafayette, Abbeville, Milton, Crowley, Rayne, Broussard, New Iberia, Carencro, Maurice, Church Point, Eunice, Ville Platte, Kaplan, St. Martinville, Cade, Breaux Bridge, Erath. Not only do we provide high quality fun jumps in Youngsville LA, we have so much more! From water slides, to concessions, to dunk tanks, to tables and chairs-we are your full-service party and event rental company. 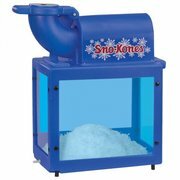 We have just about anything party rental related so you can get everything you need, right here on our website. 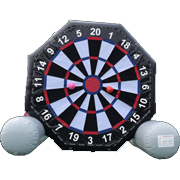 No need to rent your event necessities from multiple places, do it all at once with Bounce E Bounce! 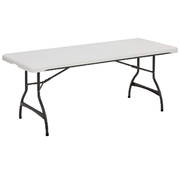 Browse our large selection of party rentals Youngsville, LA or the really nice assortment of event rentals Youngsville, LA has to offer. Don't Wait, Reserve Your Fun Jump Today! 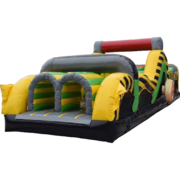 If you are planning any kind of event, hop on our website to rent a fun jump in Youngsville today. We can't wait to make your next party a hit! At Bounce E Bounce, we cater to any size event. Not too long ago, we did a large event at theYoungsville Sports Complex. We provided a variety of fun jumps, water slides and interactive games for the kids to enjoy. Even the adults had a great time with our dunking booth while the kids played in the obstacle course. Let us bring the fun to your event! We setup fun jumps at various locations all around the Youngsville area. The majority of our customers have their rentals at their homes but often we do rentals at parks or playgrounds in Youngsville. 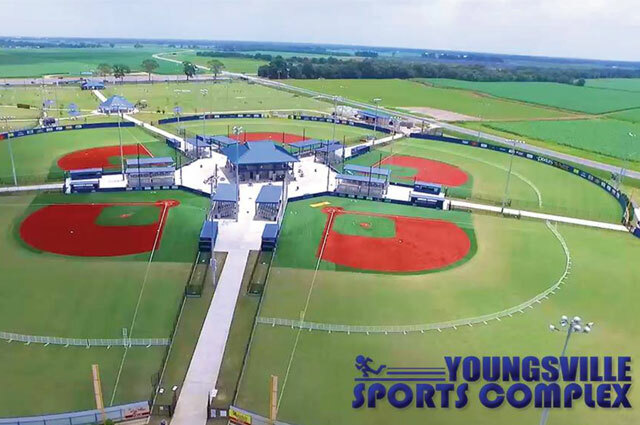 One of the most popular is the Youngsville Sports Complex and Recreation Center. Visit the City of Youngsville page for more information on having a party at their location. 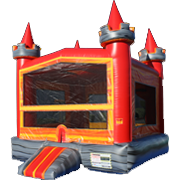 Be aware of any setup restrictions prior to booking your inflatable party rental with us. Q - How long is my rental for the price listed? A - Our standard rental rate shown on our website is for up to 12 hours but can last longer even turn into an overnight rental. Any rental longer is subject to Bounce E Bounce approval and reserves to right to decline any overnight rental service based on circumstances. Q - How many people need to watch the kids? A - A minimum of one (1) adult over the age of 18 years old is required to supervise the fun jump at all times while participants are at play. Each attendant or monitor would be stationed at the entrance and /or exit of each unit. Q - How much area do you need to set up? A - Our setup requirements vary depending on the specific fun jump. Each unit requires a minimum of 3 feet of space all the way around the unit at all times. Check dimensions on each product page for more details. Q - How much space do you need to get through to my backyard? A - Our fun jumps require a minimum of 36 inches to get through any opening or gate. No, we will not bring them through your home or throw them over the fence. Keep in mind, these inflatables are hundreds of pounds. Q - Do I need to do anything to the setup area prior to the event? A - The setup area must be free of debris, obstructions or any pet feces. 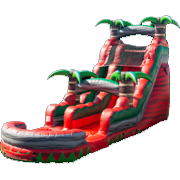 Please cut your grass at least a few days prior to avoid any grass clipping all over the fun jump during play. Help us keep the play area clean! 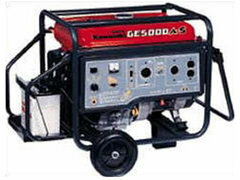 Q - What kind of power source do I need? A - A standard household 120 volt outlet on a GFCI 20 amp circuit is required for our blower to power the unit. It must be within 100 feet of the setup area and able to maintain constant power to the blower during operation. Q - Are there any delivery fees? A - We offer free delivery to most areas but travel distances along with labor for our professional delivery crew incur additional deliver fees. Fees vary depending on location from our home office in Lafayette. Q - Are there any setup fees? A - We DO NOT have any setup fees associated with your fun jump. All of the setup is included in the cost of the standard rental rate at this time. Q - Can these be used with water? A - It depends on what type of fun jump you are renting if it can be used with water or not. Some of our units can be used with water but additional fees may apply unless otherwise stated as a water slide unit. If water is used on a dry only fun jump then additional fees will be applied to your balance to account for additional wear and tear along with labor in our cleaning process. Q - Do you have insurance and/or licensed? 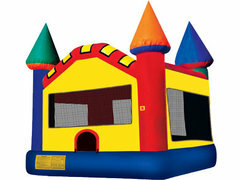 A - Bounce E Bounce is fully licensed and insured. We carry well above the minimum required for all parks, schools and playgrounds in the Youngsville area. Q - Can you deliver to a park or school? A - Yes, we can deliver to any park or school in Youngsville. We carry all required insurance documentation and are a fully licensed fun jump rental company.